Neon signs have played an important role in defining much of the vibrant streetscapes of Hong Kong since the 1950s. 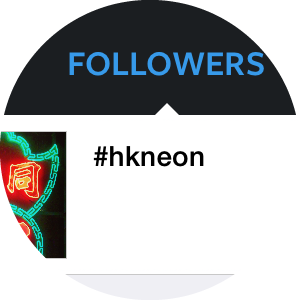 We are paying homage to Hong Kong's neon signs at Tribute Hotel, with a 5-layered neon feature. 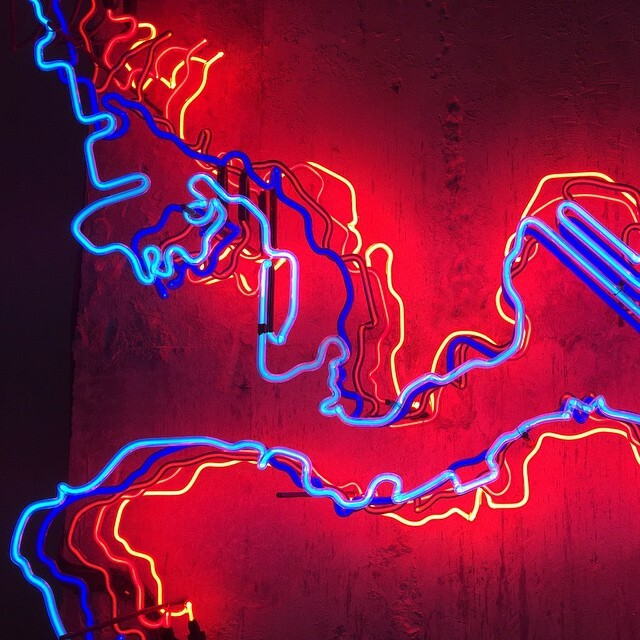 Designed by Spawton Architecture, the neon feature shows the ever changing Hong Kong reclaimed shoreline, from the original shoreline (red) to the present day (blue). The neon feature was made in Hong Kong by a neon company that has been in the business for over 60 years. We chose a palette which utilises the old-school method of using only clear & coloured glass tubes, and neon & argon gas.